We just returned from an amazing ten-day kayaking trip in Cuba, and I’ve been thinking about how much I learned and how I learned it. Though we love to kayak in foreign waters – a wonderful and different way to explore new places – a bigger draw for this trip was my long-time wish to return. 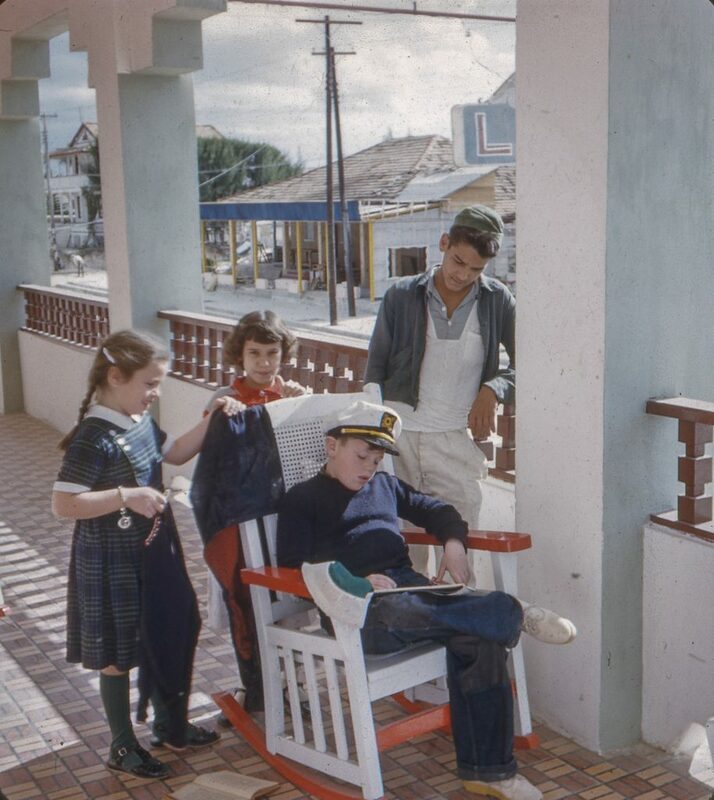 In 1954 my family spent part of winter break in the first resort hotel in Varadero Beach, Cuba, during Batista’s regime. I knew nothing of the politics or corruption there, so for me the trip was wonderful, set apart from our other frequent family travels by two distinct epiphanies. First, my beloved brother Peter, gazing at the wondrous expanse of silver-white sand, challenged me to help him figure out just how many grains of sand there were covering the shoreline. I would never have thought about that without his prompting, and we spent endless time collecting sand, estimating the number of grains each time, and trying to extrapolate those findings into a likely total. Peter introduced me to a new way of thinking about the world around me. The second involved the local children we befriended. I don’t remember the name of the boy, but I will never forget Marielle. I’ve always loved languages so, although I was only seven, I had brought a Spanish-English dictionary. I worked to learn phrases so I could talk with locals. A bit older, Marielle wanted to learn English and often glanced longingly at my book. She lived near the hotel, so my parents agreed to walk me to her home before we left so I could give her the dictionary to keep. This was not the first time I’d visited a place with a different living standard from my own affluent suburban upbringing – our parents were invested with our understanding that diversity. Other places had failed to make a lasting impression. This time, though, I visited the home of my new-found friend. Her family had so little, a dramatic contrast to the lifestyle I’d always taken for granted. That visit taught me not to take my comforts for granted, not to be so egocentric. This long-awaited trip to Cuba reinforced that learning. We had the privilege of staying in casa particulares, private homes owned by Cubans who rent rooms to tourists. The Cuban economy uses a dual-currency system: Cuban pesos for locals who are paid by the government, and Cuban convertible pesos, worth 25 times as much, for use by tourists. This system creates what our wonderful guide Roberto calls an “upside-down pyramid.” Professionals like his doctor father and teacher mother must live on a miniscule salary in Cuban pesos, while those who manage to work in tourism improve their financial standing dramatically. Having lived through the 1990s economic crisis after the fall of the Soviet Union left Cuba stranded, he himself changed his career path to tourism so he could help support his family. Putting any political judgments aside, I found the resourcefulness and friendliness of the Cubans we met inspiring. The biggest lesson I bring back from this experience is our common humanity. Two of my favorite experiences emphasized this. Our hosts just outside the old town of Trinidad welcomed us warmly. When Marisol said, “Mi casa e su casa,” she really meant it. Hot and sweaty on arrival, we were treated to Canchanchara, the traditional drink. Once fluent in French and Italian, I’d made little progress in my study of Spanish before the trip, and Marisol and her husband and son spoke virtually no English. But we communicated with gestures and smiles and my occasionally looking up words in my second Spanish-English dictionary. The next afternoon, when we returned from a hike through the old town after a river paddle, again sweaty and tired, we sat on their back portal. Her son came to invite us back into the gardens where it was cooler, and they surprised us with refreshing limonada. The pictures I’d brought from our 1954 trip fascinated the family, and we felt a strong human connection. The next day we visited the beautiful city of Cienfuegos, where we were treated to a stellar performance by a local choir. Music is a constant in Cuba, and we’d enjoyed singers and bands throughout our trip. This time, however, felt very personal. The choir began with a heart-felt rendition of the American song Shenandoah, moving me to tears. The other pieces were in Spanish, but their spokeswoman kindly explained the content of each before singing. I loved the piece about the person who though he could sing, who really sang like a duck as exemplified by their quack-quacks during the song! During their last song they invited us to come up and dance with them – a wonderful experience! Afterwards they invited questions and comments. Overwhelmed, I barely managed to get my words out… but I told them that I could not sing and was the duck, making them all laugh, and that I had loved their performance because they made me realize that for all our differences, we shared a common humanity that too often gets forgotten. My tears weren’t the only ones. This choral group is as good as any I’ve heard, yet they struggle to raise the money to record their work, and they must sell their CDs to pay for their trips to competitions despite how professional and accomplished they are. Once again I was reminded of how much I take for granted. All of which made me think about why I became a literature teacher in the first place. Not everyone has the opportunity to travel widely, to meet people from other places who live very differently from ourselves and to realize how much we still have in common. We appreciate many of the same gifts: a laugh, a smile, a song, friends, sharing a good meal… But anyone who can read simply needs a library card and time. Through stories and books, we can discover so much about the rest of the world. I was excited to see some progress in the 80s and 90s – albeit excruciatingly slow – to have children’s textbooks include a variety of people, so that all students might see themselves reflected on the page. As a teacher I helped include books in the curriculum that showed my students very different lives. If I were still in the classroom now, I would look for even more ways to do that. The canon is broader than it used to be, but educators can be more strategic in what they choose and how they use it. I used to tell my freshmen that Romeo & Juliet is a story they can recognize: two teenagers so “hot to trot” that they sneak around behind their parents’ backs, heedless of possible consequences. When my sophomores read the riveting memoir Warriors Don’t Cry, they had to imagine what it was like for Melba Beals and the other eight students to integrate Little Rock High School, to face down the hatred and opposition of segregationists. When my seniors read The Plague by Albert Camus, they faced a world where medical care could not save the victims. Well-written stories bring other worlds to life. We need to include them in our curricula. Our students can and should learn that while much divides us, more unites us. The human experience transcends local differences.